We can’t tell you how excited we were when we got our hands on this book. 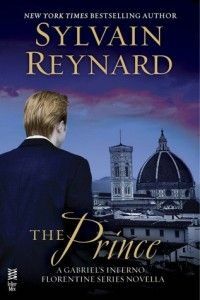 We are both huge fans of Sylvain Reynard who as per usual, transported us on nothing less than a magical journey into a world of wonder and enchantment. 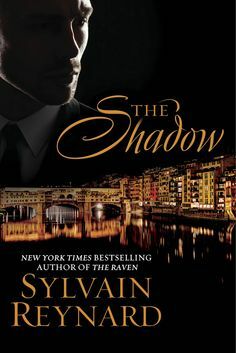 Teased with The Raven which finished on the highest note, how could we possibly not review The Shadow! Apart from the storyline overflowing with angst, we were once again mesmerised with the author’s sublime style of writing. This isn’t the first time we’ve mentioned his literacy prose as you will know if you have read our review of the first book. To say it is poetic would be an understatement. Vocabulary used is on the verge of archaic but should never be considered obsolete. There is no doubt whatsoever that the he has outdone himself in this sequel only leaving the reader anxious for more. We were both left nothing less than nonplussed and the comments to each other were virtually on par regarding the ending. And even though we are aware that the wait is going to be a tad long, it is a good excuse to reread the series. Yet again, Florence in all its historical beauty is the setting. As we have both had the pleasure of visiting this Tuscan city, it was like reliving our experience in glorious Technicolor! The streets and museums so well described were not only revived in all their glory, but also our humble knowledge of Florence’s noble families, art and architecture was to become a master class at the hands of an indisputable expert. The flow between the two books couldn’t have been better and despite the fact that it has been nearly a year since the publication of the first book, we didn’t feel in the least bit concerned. Why you may ask! Quite simply because we couldn’t wait to be taken on William and Raven’s magical voyage abundant with passionate love and courage. Now we see how occurrences on an omni-scale constantly put him to the test. Power struggles from whom he thought to be his most trusted could possibly flourish if he loses control. And an arrangement offered by the enemy to keep the peace in the city is by no means a win-win scenario. Up until now, his invincibility and strength to rule had never been questioned so for us, learning of William’s predicament made him even more credible, more human. This new side to him was enthralling as he demonstrated that he could love with all his heart and soul. Raven has disarmed him; yet his desire to keep her safely out of harm’s way may be his undoing. The cross she has had to bear is William’s misery. His decision for vengeance will shock her; however, her reaction was understandable since she has a protectively generous spirit regardless of the hurt she had received in the past. There is one scene in the book where William pleads guidance. Of course, we can’t tell who with or where, but we can express our total admiration for the author’s sensitivity for his protagonist. We were there, standing by him and shedding tears. This part made us fall in love with William even more! To see his vulnerability was quite something, don’t you think? A marvellous piece of work. And then indubitably, Raven and William’s story reaches a climax like no other. Theirs is a relationship comparable with the labyrinths of Florence. It is complicated, easy to lose one’s way and disconcertingly outstanding. The old outweighs the new, history outweighs the present, love outweighs hate. Whether the secondary characters are likeable or not, we invested in all of them. At times we didn’t know who to trust which certainly increased the angst levels somewhat! Some still have our concern and to think we won’t meet up with them for a while adds to the suspense. This instalment of the series overflowed in passion, retribution, and unexpected revelations which in turn gave us moments of absolute torture. 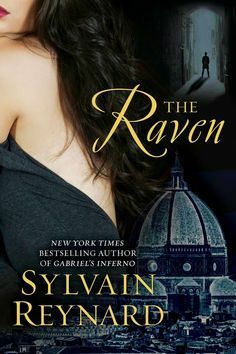 Sylvain Reynard, for two gals who don’t usually choose to read paranormal, you have very cannily convinced us with your storytelling abilities. This series is one of those to be cherished and we are so looking forward to your next offering. Bravo! I try to use my platform as an author to raise awareness about the following charities: Now I Lay Me Down to Sleep Foundation, WorldVision, Alex’s Lemonade Stand, and Covenant House. For more information, see my Charities page.